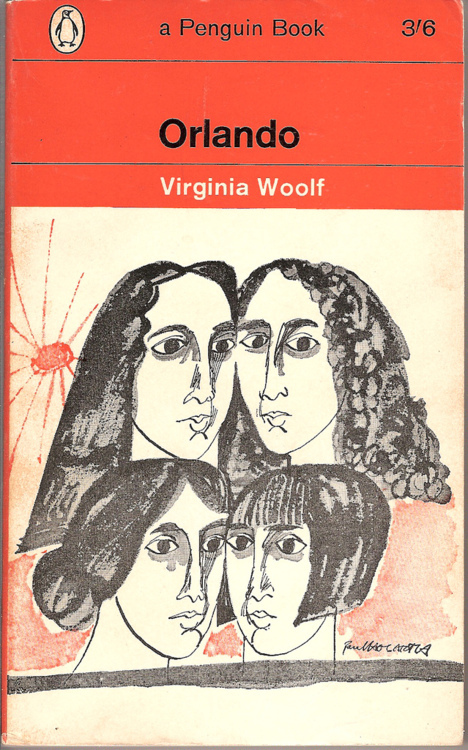 Over the weekend, I read Virginia Woolf’s Orlando. It was really fantastic. Another of those book that makes you want to re-read it the moment you finish it, because the act of reading it has taught you so much that re-reading the beginning would be an entirely different experience. And I still can’t really answer that question, because the book is about a lot of things: changing gender roles; the Empire; industrialization; the art world; the development of an artist; the meaning of life, etc. But what struck me most was how the book is about the changing conception of the self over time. As you read through Orlando, you can almost feel it’s tenor and tone and shape changing with the times. During the 18th century, it’s very much a Romance: Orlando serves as an ambassador and gets involved in a weird, secretive marriage and hangs out with gypsies and all kinds of stuff. Then, during the 19th century, it becomes very somber and introspective. At some point, Orlando looks at his housekeeper’s wedding ring and is like, “What’s that?” And then he realizes that marriage is a necessary part of life. What I love is that the book never stops. Even after Orlando becomes a successful artist, even after she finds the love of her life, even after she has a child, it keeps going–it has no answer. No milestone is the culmination of a life; she just has to keep going and going and going. By the time Orlando hits the 20th century, the book has become very jagged and stream-of-consciousness, and it finally terminates in a grand image, in a very 20th century fashion. A really excellent book. At around 70,000 words, it’s perfectly weighted, too. I read it through in about three hours, while sitting in a coffee shop. By the end of it, I couldn’t keep still. My knees were bouncing and I was shifting positions. It was a very exciting reading experience. The reason that MFA programs do not encourage their students to publish. It took me three read-throughs to finally ‘get’ Orlando, and I enjoyed every one of them … excellent review. What make you feel like you got it? Wow, only 3 hours to read through the whole thing? You must read quickly. I had to read this one for an LGBT studies class I took. Read the book and then watched the film. I definitely thought the book was better. However, I’m not sure I ever really ‘got it’, or that I ever will. Broke too many conventions and put me in a place where I could never seem to get a firm footing. I guess I’m glad to have read it but . . . I’m not rushing to read it again lol. Glad you enjoyed it though! Yeah, I think the getting is that you don’t necessarily need to get it =) It’s also just a fun story about a dude who turns into a girl and wants to be a poet and also does some other stuff! Well, you made this sound so good that I decided to read it. I can’t believe you read this in three hours, but I definitely believe that you read it in one sitting, cause I just did the exact same thing. I definitely agree with everything you liked about it. I also really liked how fantastical the book is, and how little it really tries to make sense of that. It’s such a strength of the book that it doesn’t require much thought be paid to its fantastical elements. I loved how much attention was paid to the details of living in the various eras. It seemed really knowledgable in a way that didn’t seem annoying at all, and I admit that I do sometimes find that kind of detail annoying/tedious. And, yeah, the tone really shifts a lot throughout, which was very satisfying. I’ve never read anything by Woolf before, so I didn’t quite know what to expect. Wow! I think I’ll probably add Mrs. Dalloway to my list too. I’m glad you liked it! Ms. Dalloway is also the bomb. I definitely hope you enjoy it.